The EU-funded E-ferry project will soon see the launch of the 100 % electric, emission-free, medium-sized ferry for passengers and cars, trucks and cargo. She has been named ELLEN, and is in the final stage of finishing at the Søby Yard. The peak charging power of the E-ferry battery pack and its shore charging connection will be up to 4 MW. ELLEN will be able to cover distances of over 20 NM. 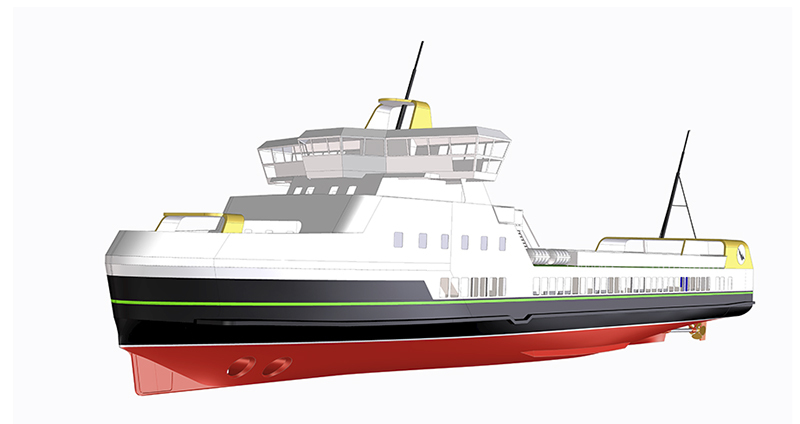 She will be put into operation on the routes between Soeby-Fynshav (10.7 NM) and Soeby-Faaborg (9.6 NM) in the Danish part of the Baltic Sea, connecting the island of Ærø to the mainland. The world’s first fully electric passenger and car ferry that can operate at record breaking distances of up to 22 nautical miles is in its final stage of construction. 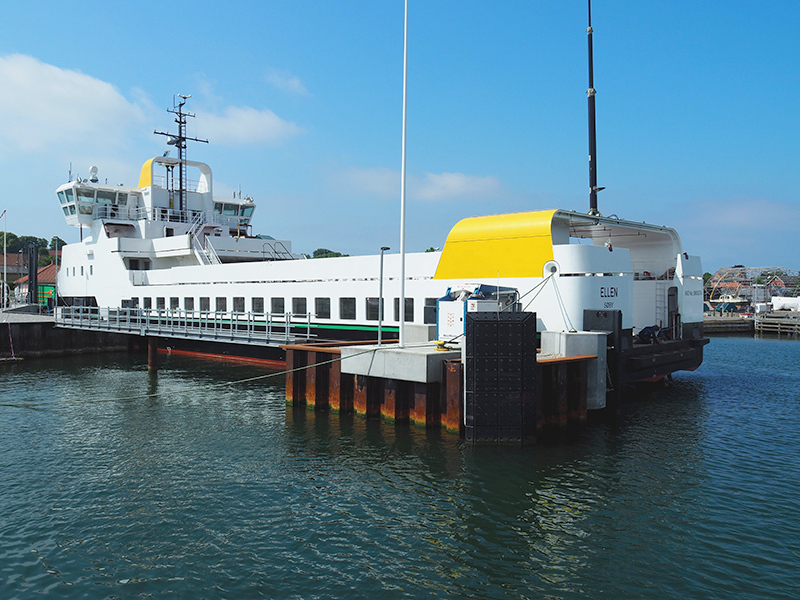 The E-ferry hull arrived in Søby, Denmark on October 1. Since then, everyone has been working around the clock to install all the component, cables and systems that are necessary for the E-ferry to run on pure battery power. 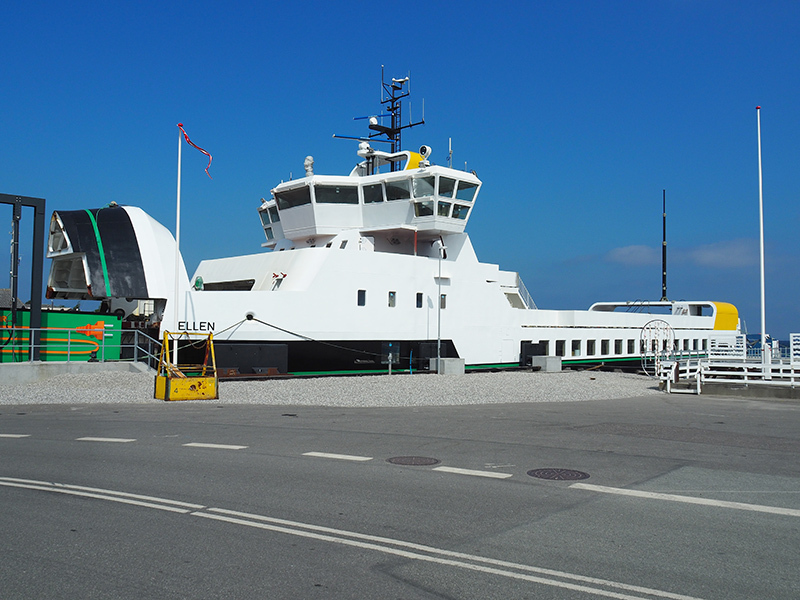 Alongside the work being done on the E-ferry itself, work has also been done on the onshore facilities in Søby, where the E-ferry will be charged. Denmark’s first new 100% electric, 59,5m-long ferry, Ærøfærgerne’s ELLEN, arrived from Stettin in Poland, at the Søby Shipyard for completion. 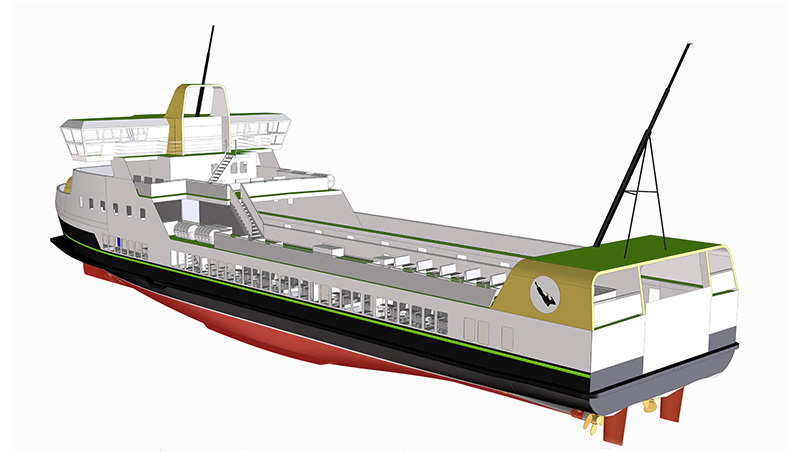 Τhe objective of the E-ferry project is to demonstrate that a 100% electric, emission free, medium sized ferry can transport passengers, cars and trucks on longer distances than previously seen. The ferry is designed for medium-range connections such as Søby – Fynshav (10.7 nm) and Søby – Faaborg (9.6 nm), but ranges of more than 20 nm are realistic.